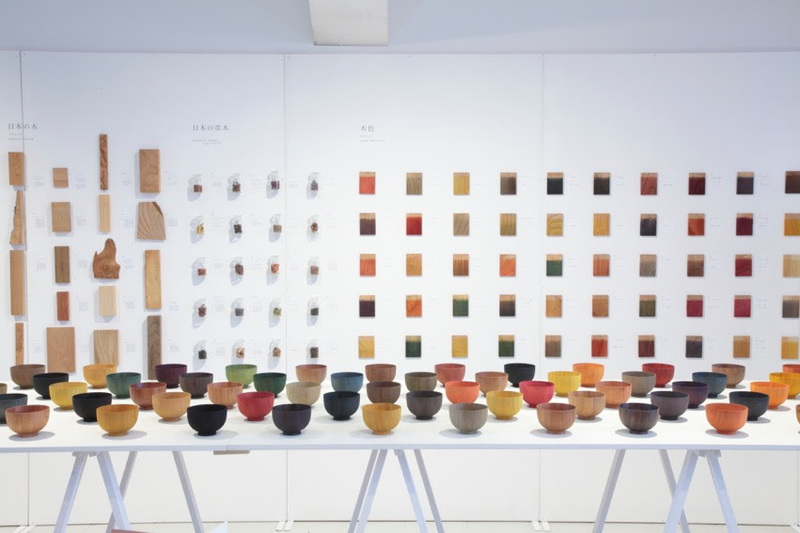 Colour talk about colour and its meanings in different times and cultural contexts, with Undeni, Aoki Maasaki, a specialist in natural dyeing at Tezomeya in Kyoto, Petra Holmberg, Curator of the East Asian Museum and Gertrud Olsson, Interior Architect, Architectural Historian and Colour Scientist. Swedish and Japanese craftsmen meet in Färgköket, Ateljé Draken, where we will learn how to use nature as the source for creating durable colours with Aoki Maasaki from tezomeya.com, Kyoto. used yet today. Ateljé The dragon is open from 11:00 to 17:00. Occasions to test plant colouration are at 12:00, 13:30 and 15:00. Limited number of places to participate in plant dyeing. Price: 50 kr / press per session. Detta inlägg postades i Information, Nyhetsnotiser och märktes exhibition, natural dyeing, talk, workshop den 14 augusti, 2018 av admin. Verner Panton is considered one of Denmark’s most influential 20th-century furniture and interior designers. During his career, he created innovative and futuristic designs in a variety of materials, especially plastics, and in vibrant and exotic colors. 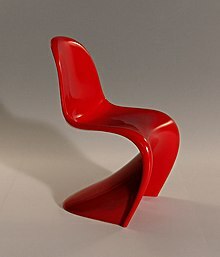 His style was very ”1960s” but regained popularity at the end of the 20th century; as of 2004, Panton’s most well-known furniture models are still in production (at Vitra, among others). Detta inlägg postades i Nyhetsnotiser och märktes Book, Verner Panton den 25 juli, 2018 av admin. Sparkling colours, cherry blossoms and rainbows, bubbles and googly eyes: Why do some things seem to create such universal joy? Ingrid Fetell Lee reveals the surprisingly tangible roots of joy and shows how we all can find — and create — more of it in the world around us. Detta inlägg postades i Nyhetsnotiser och märktes Ingrid Fetell Lee, TED talk den 13 juli, 2018 av admin. Are these dots purple or blue? Every day, humans make dozens of judgements, from deciding whether our clothes match to determining whether a shady character in the street is a threat. Such decisions aren’t based on hard-and-fast rules, a new study reveals. Instead, our concept of “threat”—and even of the color “blue”—is all relative. To make the find, researchers showed non–color-blind participants a series of 1000 dots ranging from very blue to very purple, and asked them to judge whether each dot was blue. For the first 200 trials, participants saw an equal number of dots from the blue and purple parts of the spectrum, but then the prevalence of blue dots gradually decreased to just a fraction of what it was before. By the end of the study, participants’ interpretation of the colors had changed: Dots that they had thought were purple in the first set of trials they now classified as blue, the authors report in Science . That is, their concept of the color blue had expanded to also include shades of purple. Detta inlägg postades i Nyhetsnotiser och märktes blue, science den 2 juli, 2018 av admin. 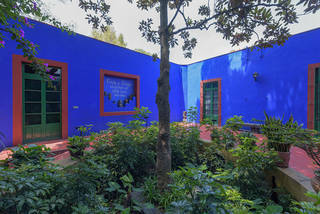 In 1954, following her death, Frida Kahlo’s possessions were locked away in La Casa Azul (The Blue House) in Mexico City, her lifelong home. Half a century later, her collection of clothing, jewellery, cosmetics and other personal items was discovered. Exterior of La Casa Azul. Photograph by Bob Schalkwijk. 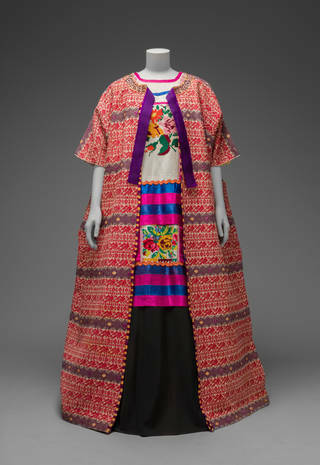 © Frida Kahlo & Diego Rivera Archives. Bank of Mexico, Fiduciary in the Diego Rivera and Frida Kahlo Museum Trust. 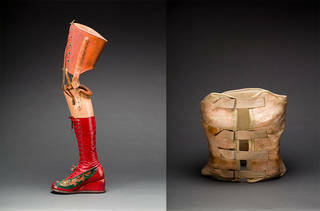 Left: Prosthetic leg with leather boot, 1953 – 4, Mexico. Right: Plaster corset, about 1954, Mexico. Photographs by Javier Hinojosa. Diego Rivera and Frida Kahlo Archives, Banco de México, Fiduciary of the Trust of the Diego Rivera and Frida Kahlo Museums. Museo Frida Kahlo. Detta inlägg postades i Nyhetsnotiser och märktes exhibition, Frida Kahlo den 27 juni, 2018 av admin. Gallery this summer. The heading cites three of the some 50 artists presented in the exhibition, who contributed to making the 20th century the century of the art experiment, when art movements replaced one another and painters and sculptors expanded the boundaries of the very concept of art. A generous loan from the Didrichsen Museum in Helsinki has enabled Millesgården to present an exhibition of sculptures by Henry Moore, Niki de Saint Phalle, Alberto Giacometti and Alexander Calder in addition to paintings by Wassily Kandinsky, Emil Nolde and Sonia Delaunay. Detta inlägg postades i Nyhetsnotiser och märktes exhibition den 21 juni, 2018 av admin. German painterGabriele Münter (1877-1962) was an open-minded, experimental artist with an international network and extensive exhibition activities. During World War I she spent time in Stock­­holm and Copenhagen, where she had her artistic breakthrough in 1918 with her first solo exhibition. Gabriele Münter has not been widely acknowledged in the history of art until now. Her work has usually been seen and interpreted in the context of German Expressionism and with a focus on her relationship and collaboration with Wassily Kandinsky (1866-1944) in the time of the artist group “Der Blue Reiter” . Much of what Münter created is still unknown, but 100 years after Münter exhibited for the first time in Denmark, this will finally be remedied. The exhibition takes a present-day look at Münter’s work, which is presented in thematic sections – from the classic genres such as the portrait and landscape through interiors and abstractions to her interest in foreign cultures, folk art and children’s drawings. Detta inlägg postades i Nyhetsnotiser och märktes exhibition den 30 maj, 2018 av admin. The American artist Ellen Gallagher. Gallagher creates image-based installations that offer the viewer to reflect on an alternate historical writing and existence. The exhibition, Better Dimension, contains three extensive film installations in collaboration with Dutch artist Edgar Cleijne. 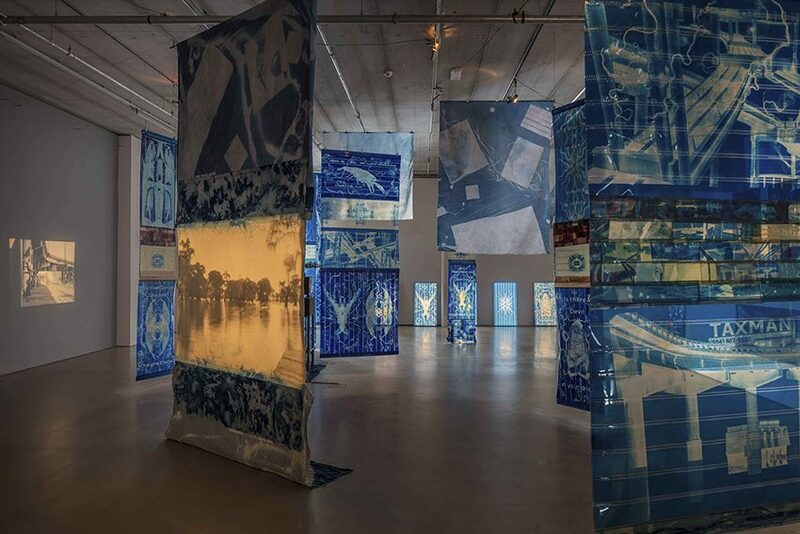 Highway Gothic (2017), consists of cyanotope curtains of 70 mm film and fabric as well as two 16 mm films. The installation explored how the construction of the Interstate 10 highway,, which shares both the United States largest wetland areas, the Atchafalaya Basin, and New Orleans, forced displacement and expelled people and animals in its vicinity. The title refers to a standard font used for US road signs. Detta inlägg postades i Nyhetsnotiser och märktes blue, Edgar Cleijne & Ellen Gallagher, exhibition den 23 maj, 2018 av admin. 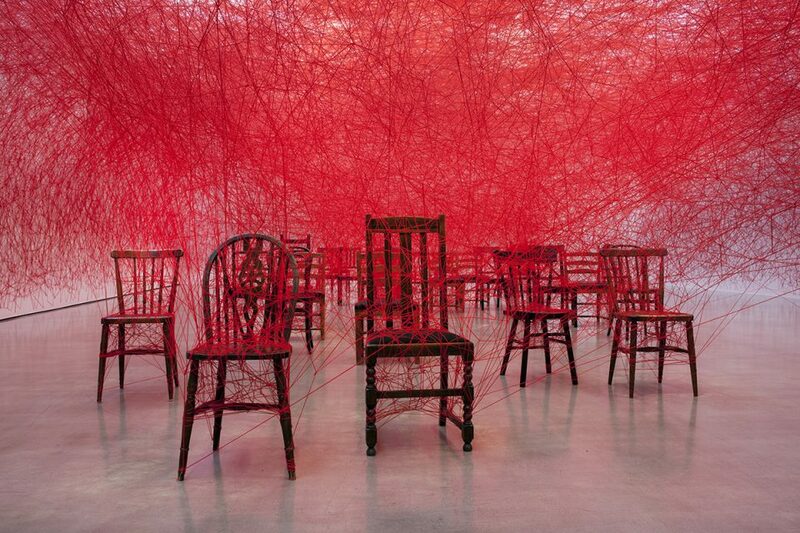 Chiharu Shiota is famous for her poetic network designs in wool yarn where she crosses and ties threads from floor to ceiling. With her artistry, she touches subjects such as migration, identity, stamina and longing. The Distance shows photography, drawing and sculpture along with two large-scale installations that Shiota specifically creates for the exhibition rooms at the Gothenburg Art Museum. Each installation involves a time-consuming craft where Shiota slowly weaves a rolling path that the visitor can follow. Detta inlägg postades i Nyhetsnotiser och märktes Chiharo Shiota, exhibition den 23 maj, 2018 av admin. Now, archaeologists and chemists from the National Museum of Demark have studied the colour use of the Viking era, and by means of chemical analyzes of color pigments on different findings and a collection of existing knowledge in the field, they have succeeded in finding out what the Viking colours looked like. The colours are now available to everyone in the form of a colour palette, as archaeologists thought that others might also be interested in making use of the Viking colours. You can read more about the project on the National Museum’s website. Detta inlägg postades i Nyhetsnotiser och märktes colour palette, vikings den 11 maj, 2018 av admin.